Maretron's TLM200 is used to sense fluid levels of tanks using ultrasonic technology. Ultrasonic, or sound waves, are transmitted via the TLM200 mounted at the top of the tank and the flight times of the sound waves to and from the fluid are measured much like a depth sensor. What this means for you is that there are no difficult to handle long probes protruding into the tank, which often foul and/or corrode. 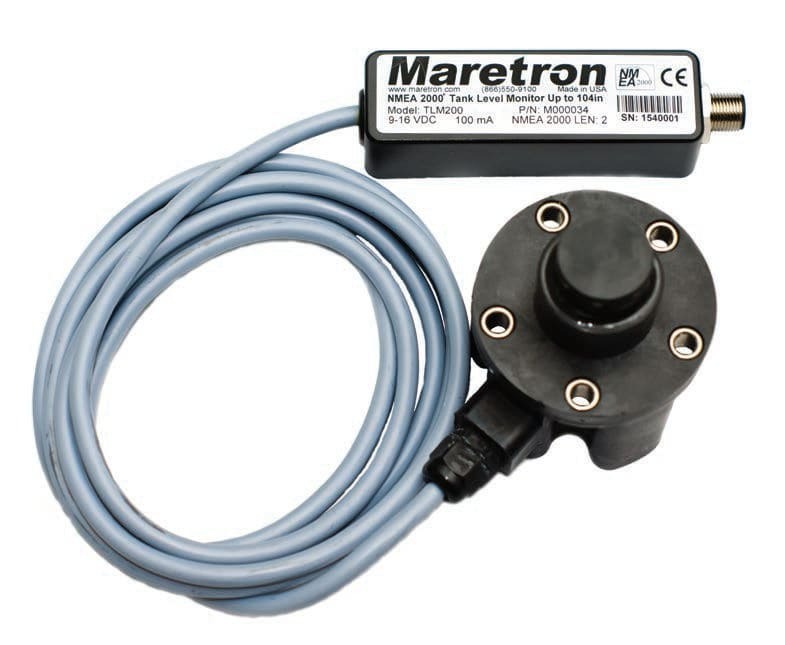 Once the TLM200 calculates and broadcast the fluid level over the NMEA 2000® network, you can observe tank levels anywhere on the vessel where there is an NMEA 2000® compatible display such as Maretron's N2KView® vessel monitoring system, or Maretron's DSM150/DSM250 color graphics displays.